Hi guys/girls. 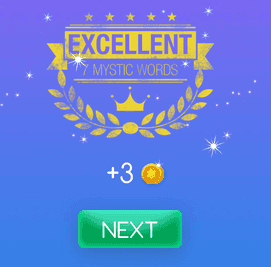 Welcome to Mystic Words Magenta level 18 answers. Remember to look only the answers to the clues you are blocked. There is no fun if you see all the answers before trying to solve them first. Being sunk into a cavity 5 letters answer, click here! Writer of literary works 8 letters answer, click here! Kept from happening 8 letters answer, click here! Operator of movie recording devices 9 letters answer, click here! Any Mongolian language 7 letters answer, click here! An inactive expectation 4 letters answer, click here! Large farm animals 6 letters answer, click here!